In conjunction with the California Department of Veterans Affairs (CalVet), Fresno County Public Library is pleased to help veterans and their families. Please visit the Veterans Resource Center located inside the Central Branch Library and the Betty Rodriguez Branch Library. Our heroes can learn about state and federal education, employment, housing, health, disability and other benefits that may be available to them and their families. Call (559) 600-7323 (Option 4), to schedule a one-on-one consultation with trained volunteers, many of whom are veterans themselves or who have had professional experience assisting veterans, or just drop by. Veterans Resource Center hours are found here. To view website click here. The County of Fresno, Veterans Service Office provides a variety of aid and information to our valley’s population of servicemen and women. They provide temporary housing. Veterans may have to participate in some additional programs to obtain this benefit. They will facilitate referrals for medical and mental health evaluations and/or other VA and community programs. For some services, veterans must be VA Health Care-eligible and registered at the VA. Under the auspices of the U.S. Department of Veterans Affairs, Fresno has a local office that will assist veterans and their families. 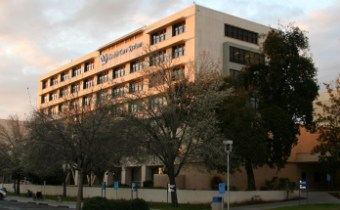 Office is located at the far northwest corner of the building. Combat veterans and victims of sexual abuse and their families are the main clients. They provide free readjustment and PTSD counseling. Any vet can contact them and they will direct them to the help they need. They never turn anyone away. NAMI has a free 6 session educational program for veterans, service members, family and friends called Homefront, to help with some of the unique needs of current and past service members with mental health conditions. LOCATION: Located off Blackstone Avenue approximately one block north of Blackstone and Dakota. Go west on E Saginaw Avenue, turn right into the 1617 complex (it is located right past the used car lot.) The sign says “Blue Sky Wellness Center”. The San Joaquin Valley Veterans office is the very first suite. • Offer assistance and case management to Veterans in need. • Can help homeless vets who have some income available to them. • Provide discount bus passes, haircut vouchers, clothing vouchers, free snacks, a computer lab, a place to sit and relax with others, or a place to watch TV. • They can also refer veterans to other places where they can receive additional services. "Information For Wounded Warriors And Veterans Who Have A Compensation Rating Of 100% Permanent & Total (P&T)"
Additional local resources can be downloaded from this link compiled by Fresno City College. A more complete listing of resources can be found here in the official U.S. Department of Veterans Affairs publication.